Flint Group Flexographic Products is pleased to announce the appointment of Yunuén Sánchez as Global Marketing Director Flexographic Products, and as a member of the Senior Leadership Team Flexographic Products. 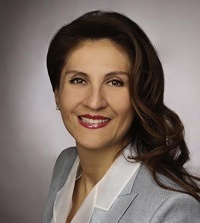 Yunuén Sánchez holds a Master of Science degree in Textile Engineering as well as a Business Administration degree and a certification as Six Sigma Black Belt. Ms. Sánchez was born in Mexico. She has had international assignments in Sales, Marketing and Strategic Planning in Europe, the United States and Latin America where she has led the development and implementation of marketing and growth strategies for a variety of businesses. She now lives in Germany. With her extensive industry knowledge and her international marketing experience, she is the ideal candidate for this new position. Yunuén Sánchez will be based at Flint Group’s site Stuttgart in Germany.